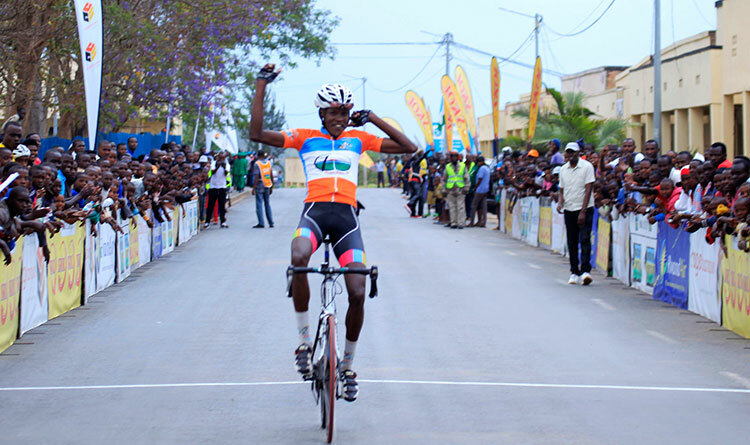 Fresh from winning the gold medal at All Africa Games,Team Rwanda rider Hadi Janvier took a well deserved place on the podium at Tour de Tour de Côte d’Ivoire,finishing in the second position overall,20 seconds behind Morroco’s Lahsaini Mouhcine. 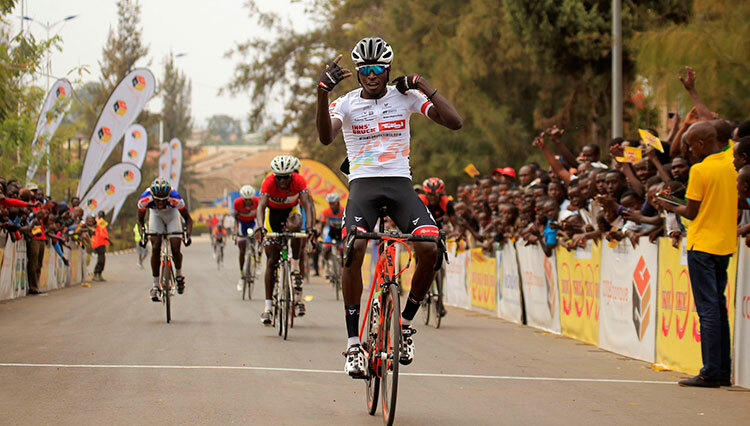 Both Lahsaini Mouhcine and Hadi Janvier finished safely in the bunch sprint that concluded the sixth and final 77.4-kilometer stage which was was by France’s Orceau Clément. 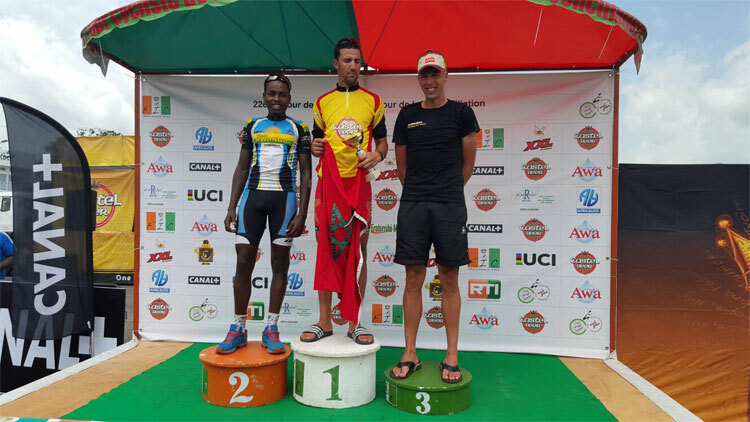 Rwanda Cycling Federation President,Aimable Bayingana who praised the team’s “outstanding performance” at this year; said Team Rwanda performance on the continent shows that Rwanda is on the rise. 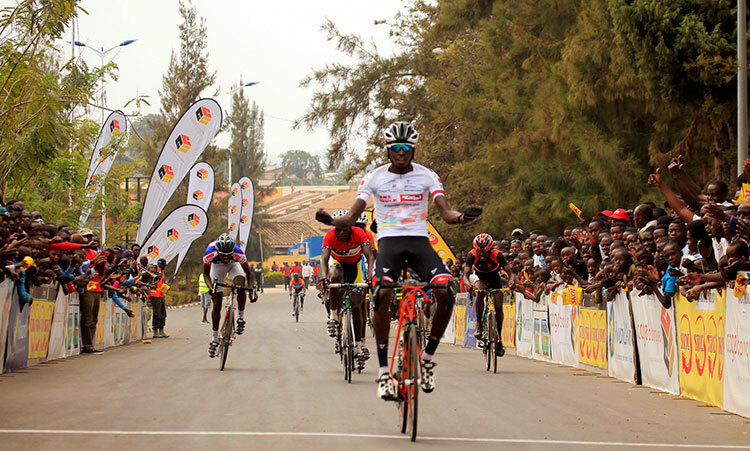 “This shows how far we have come.We won Tour of Rwanda last year,we took third place in Tour du Cameroon and won gold and bronze medals at All Africa Games.We performed well against strong riders from countries like Marroco and Algeria,we are no longer a small nation. 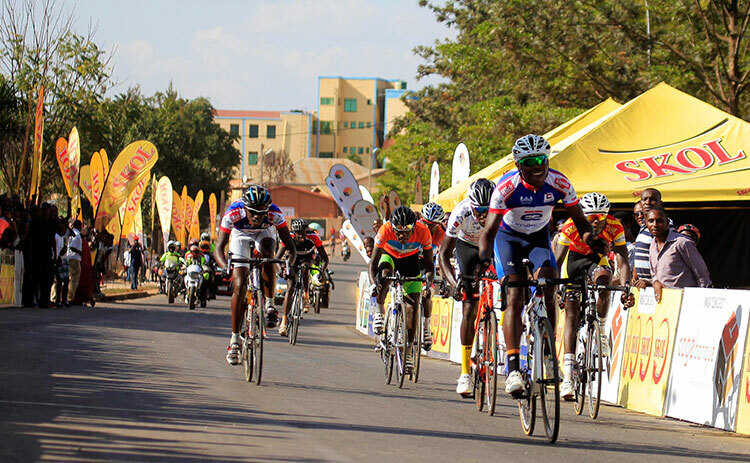 We are still going strong.”said Bayingana.